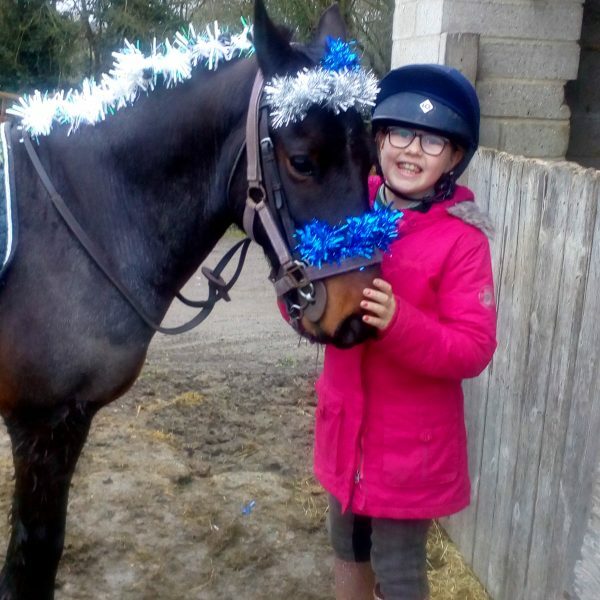 Meet Martha, Forelock’s Young Equestrian Blogger. Martha isn’t a rider looking to become the next internet sensation, she isn’t looking for a huge following that will get her sponsorship with big brands. Martha is an ordinary girl; intelligent, funny, caring, chatty, cheeky, witty and clever. She’s also very lucky to have two ponies of her own, with whom she has the most amazing adventures. This week, Martha will introduce herself to you, but remember to check in regularly to find out what she and her ponies have been up to. I started riding when I was 18 months old. I have 2 ponies Rowan who’s an 8year old 12:3hh roan New forest X. When we got him he was very cheeky and wouldn’t even walk in the school without napping, but with lots of pony club kicks and encouragement he’s turned into a lovely pony who can turn his hoof to anything. My other pony is Revel, we recently bought her back as she came up for sale. Me and mum loved her so much we just want her around, she’s a 12year old grey Welsh section A 11:2hh. She likes to chat to us all the time ,is very cuddly and loves to be groomed. Both my sisters ride too, Anna shares mum’s cob called Bob and Saskia has a super pony called Aeroplane. We are all members of Crawley and Horsham Hunt Pony Club and do lots of Rallies and competing. I love hunting too and we hunt with the Chiddingfold leconfield and Cowdray Hunt. Mum likes to take us out to do lots of different things with the ponies, hacking, beach rides we even did a couple of sidesaddle lessons in the summer. When I’m not at the yard or school I’m usually with some horsey friends, talking about ponies, making jumps in the garden and swapping stories about exciting rides or interesting injuries. Something slightly crazy seems to happen to us every week, but I always see the funny side and we all have a good laugh in the end. I’m really looking forward to telling my fun stories about my life with my family and ponies and hope you enjoy hearing about them too.